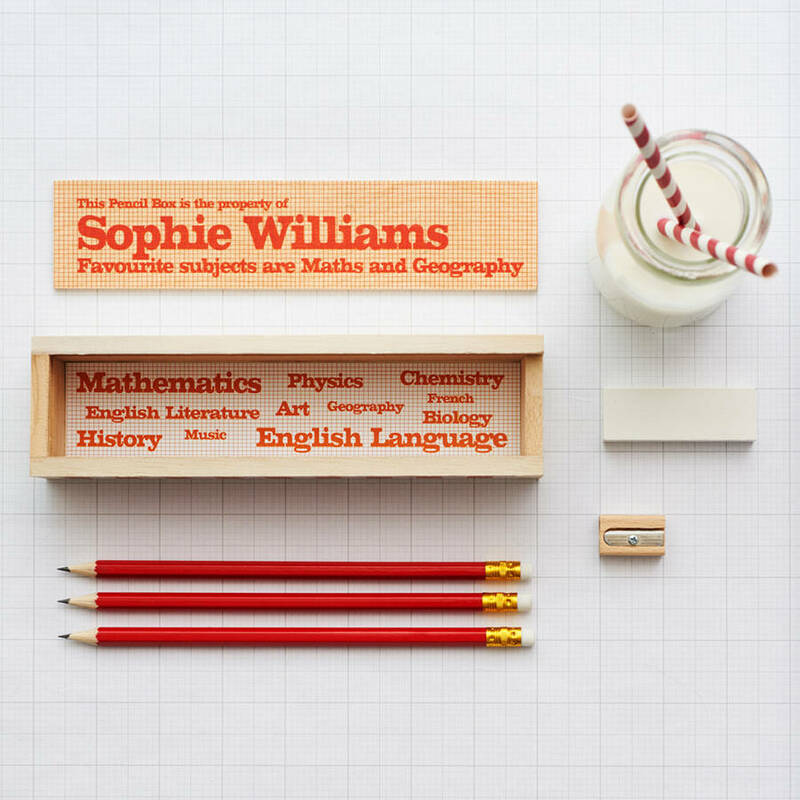 A traditional wooden pencil box with pencils, eraser and wooden pencil sharpener, personalised with the name and text of your choice. 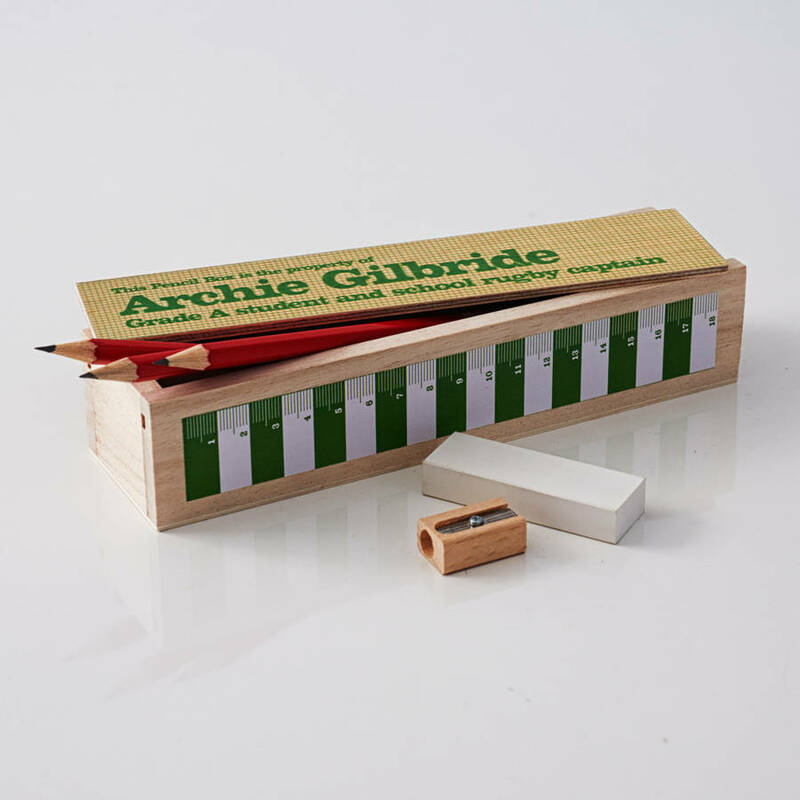 The perfect present for any child who loves their stationery. 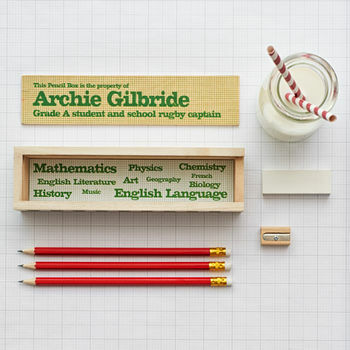 The pencil box comes with three HB pencils (with erasers on the end), one plastic eraser, and one wooden pencil sharpener. You have a choice of two colours, racing green or vibrant orange. 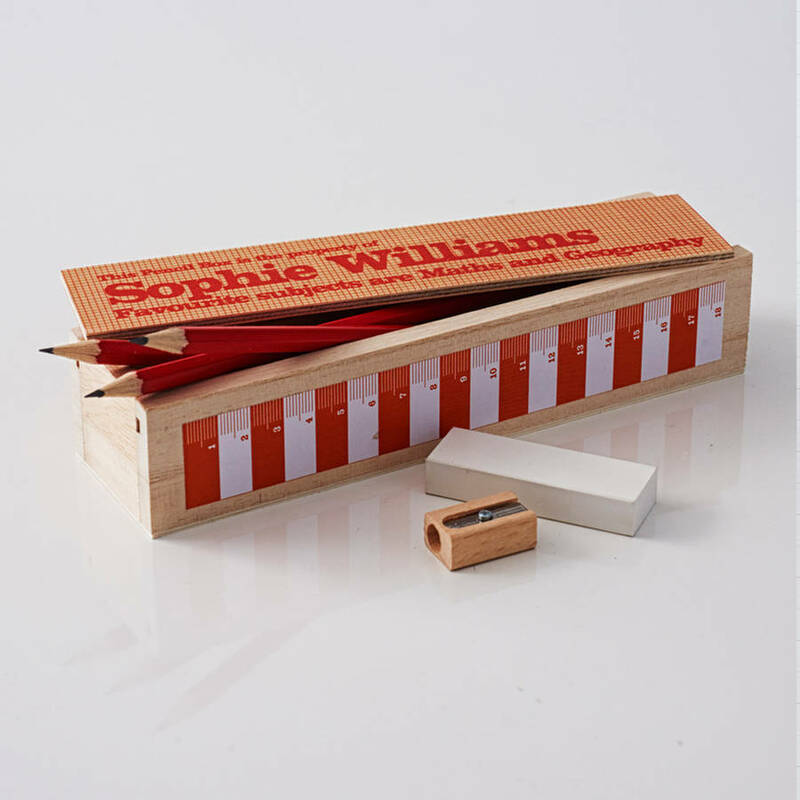 The colour choice will also dictate the colour of the ruler sticker on the side of the pencil box, as well as the text on the interior design. 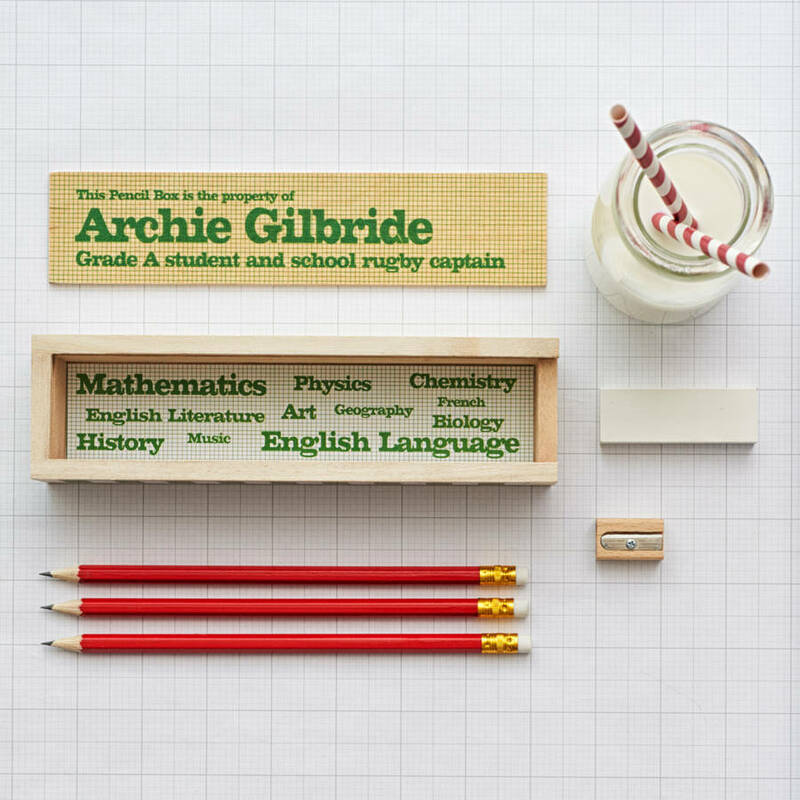 You can personalise the pencil box with the name of your choice, and this will appear in large text on the lid of the box. You can also add a line of text that appears in a smaller font beneath the name.